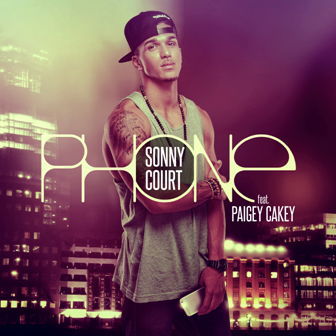 Off the back of a #4 record on the Music Week / UK Billboard Urban Club Chart with ‘Passcode’ and a 2nd charting single ‘All In You’ (Time Records), Sonny Court is set to release his latest track ‘Phone’ featuring the in demand Paigey Cakey. 2014 saw the release of Sonny’s debut album ‘On The Top Of My World’ in the Spring, gaining key support from MTV UK and DJBooth.net among others. This led to an appearance on ‘Swiss Pop TV’ and a front cover feature in Swiss national newspaper ‘20 minutes’. The successful US movie documentary “I’m A Stripper” used 3 Sonny tracks and 2014 also saw the release of an EDM EP, adding yet more well received tracks to his back catalogue. Not to be overlooked, Sonny’s diversity also prevails on his self-produced exercise video. The viral video has just surpassed 3 million views on YouTube! Sonny Court begins preparation on record his 2nd album, with live shows in the pipeline to support the release, and begins the process by teasing the industry with the release of the single ‘Phone’. Out on iTunes 20th Feb.